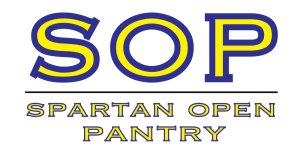 The Spartan Open Pantry needs food donations this summer to help offset lower contributions from the UNCG community while the university isn’t in session. The pantry provides food to UNCG students and staff who need assistance. Donations can be dropped off during the day Monday through Friday at the lobby of the Associated Campus Ministries building at the corner of Stirling Street and Walker Avenue on campus. “From assistance for students who need a little help at the end of the month, to homeless students and families who depend on the pantry for complete support, the SOP assists our neighbors who need a hand,” the program’s website says. And canned tuna, canned chicken, other canned meats. The pantry also can receive fresh produce. The organizers ask that no green beans or corn be donated. The Spartan Open Pantry is overseen by Wesley-Luther, the campus ministry of the United Methodist Church and the Evangelical Lutheran Church in America.If you have questions or need further information, contact Emily Saine of Wesley-Luther. It is part of a larger program of care at UNCG, coordinated by the Dean of Students Office. Our thanks to Carol Taylor of College Place UMC for spreading the word about this. This entry was posted in College Place UMC, UNCG and tagged Spartan Open Pantry, Wesley-Luther. Bookmark the permalink.